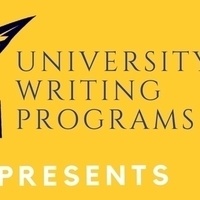 University Writing Programs is proud to announce its 5th Annual Summit on Writing in the Disciplines to be held on Wednesday, May 1 from noon-2 pm in the Vereschagin Alumni House. Come hear how faculty colleagues re-designed their courses to focus on thinking, build 21st-Century literacy skills, and improve student engagement with writing! Luncheon will be provided. Please RSVP with Eileen Camfield at ecamfield@pacific.edu.